Hairpin Pepsi San came from the Hairpin Ranch in Montana. He was born and bred to be a true ranch horse with a gentle disposition, great confirmation, an EASY keeper, and an overall great minded horse. His babies have proven to be very easy learners and willing companions ready for any task. and his offspring have earned more than $12 million. Dam: Smart Little MindyGrandsire: Smart little Lena: earned almost $744,000 in cutting. and his offspring have earned more than $26.5 million. Bred and raised at Circle JTS Ranch, now in Holmesville, OH! Genetic testing: Herda: N/Hrd; PSSM: N/N; GBED: N/N; Color: Grey: G/g (won't throw a grey every time!!! ), Agouti: A/A (dominant carrier of the Bay gene), Red/Black Factor: e/e (red based color). 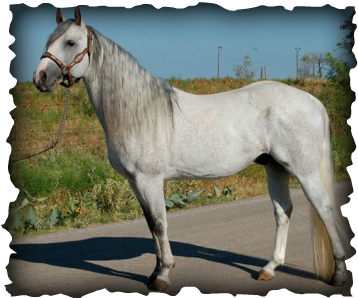 He is a very flashy, smart, and athletic horse with a lot of willingness to please. His offspring have proven to be a 'chip-off-the-'ol-block' and have done well in all aspects of the equine competition world. I feel very privileged to have been able to see this boy in person. I had the privellege of handling and collecting him while working and going to school at Tarleton. 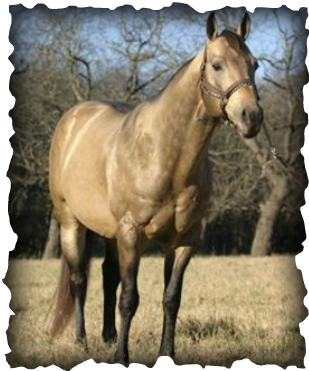 1994 NRHA Futurity Reserve Champion LTE $80,379 - producer of NRHA Champions, son of the great SMART LITTLE LENA ( Lte. $743,275 Offsping have earned $ 31,5 Million) and out of Miss Freckles Last by Colonel Freckles. All rights to images and information are reserved to Circle JTS Ranch ONLY. Use of any images or forms without Circle JTS's consent is prohibited.